The Providence Athenæum is an independent, member-supported library and cultural center located on Providence’s historic Benefit Street. It is one of the city’s best-known attractions. There is programming for all age groups and most programs are free and open to the public. The Providence Preservation Society (PPS) was established in 1956 to respond to the proposed demolition of a number of 18th- and 19th-century houses on Benefit Street. Unlike many historic preservation organizations which were formed to preserve a particular building, PPS has always been an advocate for neighborhood revitalization. PPS currently does not have a visitor center but walking maps and brochures are available in their vestibule most weekdays from 10am-5pm. The PPS website offers program information and links to the Mary A. Gowdey database which contains hundreds of Providence house histories and photographs. The John Brown House was built in 1788 by merchant, patriot, politician, and slave trader John Brown, an instigator and participant in the Gaspee Affair. Visit the RIHS website for admission fees for the museum, walking tours, and other special events, including the “Concerts under the Elms,” an annual outdoor concert series held on Thursdays during the summer on the grounds of the John Brown House Museum. 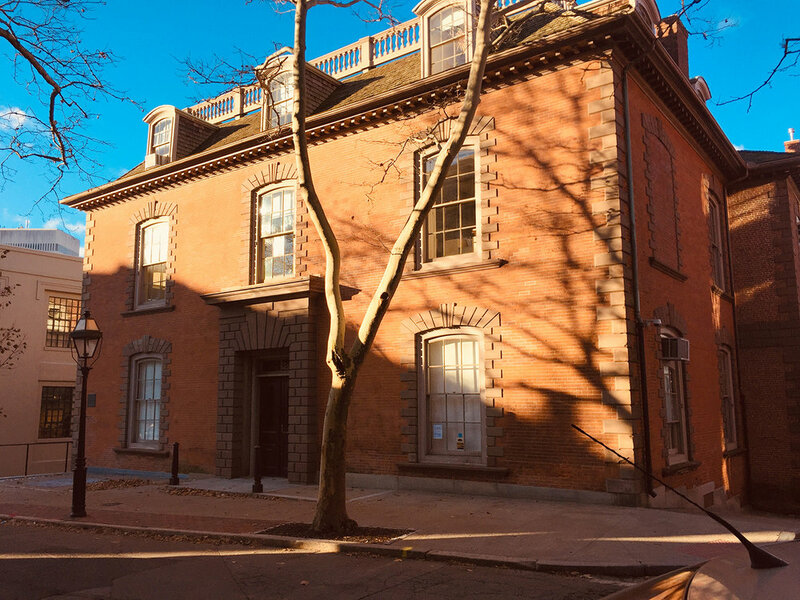 Founded in 1880, the Providence Art Club has long been a place for artists and patrons of the arts to create, congregate, display, and circulate works of art. Gallery visits are free and open to the public Monday–Friday, 12pm-4pm; Saturday & Sunday, 2pm-4pm. Guided tours are offered of the 1707 home occupied for over four decades by Declaration of Independence-signer Stephen Hopkins, his family members, and their slaves. The garden surrounding the house is generally open even when the house is closed. Open year-round on Wednesdays: 11am-2pm and open April through November on Saturdays: 10am-4pm (later on WaterFire full lightings). Established in 1877 as part of a vibrant creative community, the RISD Museum stewards works of art representing diverse cultures from ancient times to the present. It is one of the most visited attractions in Providence. Visit the museum website for admission fees. Admission is free every Sunday (10 am–5pm) and on the third Thursday evening of each month (5-9 pm). Located in historic Providence and founded in 1764, Brown University is the seventh-oldest college in the United States. 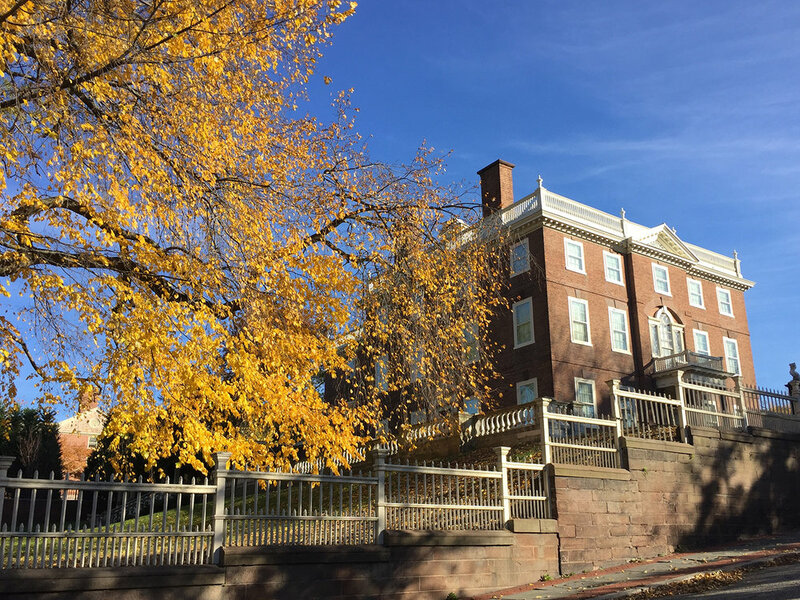 Brown is an independent, coeducational Ivy League institution comprising undergraduate and graduate programs, as well as the Alpert Medical School, School of Public Health, School of Engineering, and the School of Professional Studies. Brown’s main campus, and its iconic Van Wickle Gate, lies at the easterly border of the Mile of History. A Brown University teaching museum that primarily serves the Brown University community, though it is open to the public. It is located on the ground floor of Manning Hall on Brown University’s Main Green. The museum offers exhibits, public lectures, performances, symposia, festivals, and a broad range of programs and events for all ages. Hours: Tuesdays–Sundays, 10am-4 pm; closed Mondays and Brown University Holidays. Admission is free. The John Hay Library is open to all members of the Brown community and to the general public as follows. Exhibit spaces within the John Hay Library are open to the public, though entry into the John Hay Library after 6pm weekdays and on weekends requires access by Brown ID. Any researcher presenting a valid personal identification card with photo is welcome to use the collections weekdays 10am-6pm except holidays and during Brown intersession. The library houses the Anne S. K. Brown Military Collection—the foremost American collection of material devoted to the history and iconography of soldiers and soldiering, and is one of the world's largest collections devoted to the study of military and naval uniforms. There are over 6,000 miniature lead toy soldiers from this collection on permanent display on the third floor of the library. Rhode Island School of Design is a private, nonprofit college founded in Providence in 1877—making it one of the first art and design schools in the United States. The campus includes numerous buildings throughout the Benefit Street and Downtown neighborhoods. 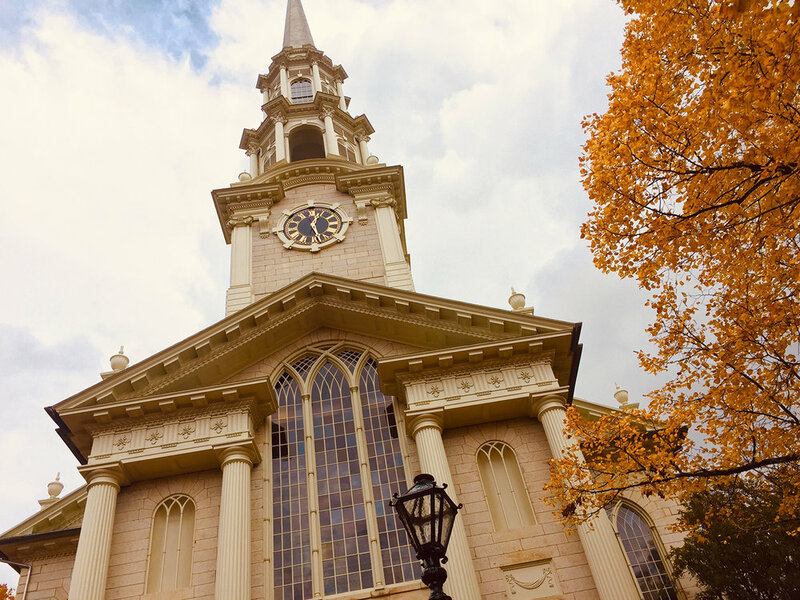 Like many Unitarian churches in New England, this church began as a Congregational Society. It is one of two churches built in Providence by John Holden Greene, who reportedly considered this building his masterpiece. The exterior was recently restored and the church remains an active Unitarian Universalist church today. The First Unitarian Church currently has no regularly scheduled public hours or programming other than regular membership services and events. 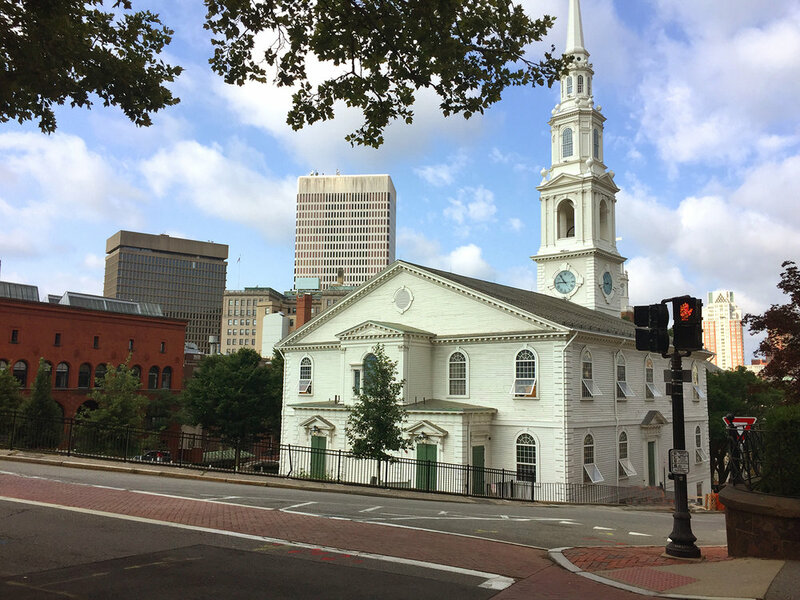 Still active today, the First Baptist Church in America was the third building for the congregation founded in 1636 by Roger Williams and other early settlers of Providence. The Meeting House was designed by Joseph Brown. The steeple is a copy of an unused design that the architect James Gibbs created for St. Martin-in-the-Fields in London. Guided tours of the Meeting House are available Memorial Day through Columbus Day. Video or self-guided tours are available the rest of the year. The parish was originally organized in 1722 as King’s Church, a wooden structure that was renamed St John’s Church in 1794. That building served Providence until 1810 when work began on what would become the Cathedral of St. John. The Episcopal Diocese of Rhode Island was formed in 1790, but it was not until 1929 that St John’s Church was designated the Episcopal seat and was renamed the Cathedral of St John. Religious services were suspended in 2012 and the building is now home to the Center for Reconciliation and Rhode Island for Community and Justice. 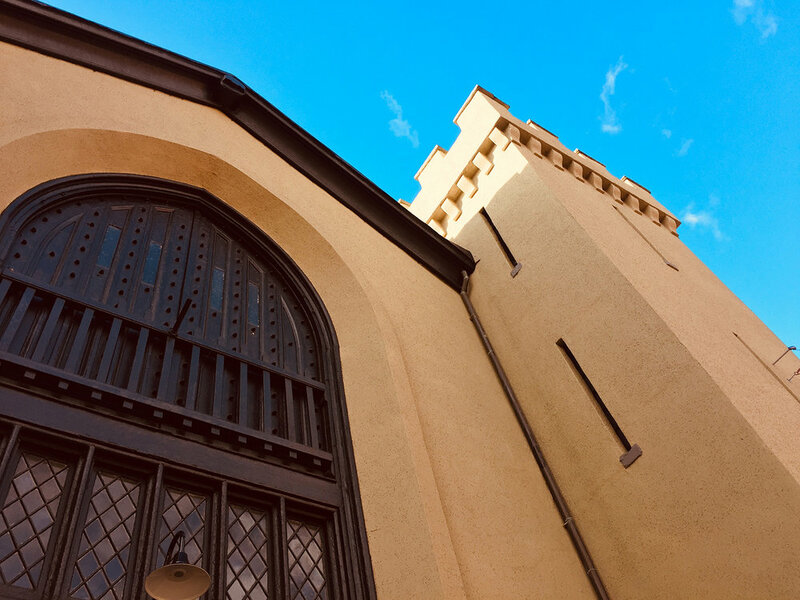 The Center for Reconciliation offers a walking tour as well as events, ongoing programs, and exhibits designed to connect us to the history and the legacy of slavery, the slave trade, and the construction of race in America. Also known as the Benefit Street Arsenal, this armory of the Providence Marine Corps of Artillery (PMCA) and associated artillery units in the Rhode Island Militia was used as the mobilization site during the American Civil War. Soldiers from the PMCA have continued to serve the United States out of the Arsenal for over 150 years. The Arsenal is decorated with grand military portraits and plaques commemorating the battles fought by the PMCA and 103rd Field Artillery. Only open to the public by appointment. Originally built for Joseph Nightingale, a prominent merchant active in the China Trades. John Nicholas Brown purchased the home from Nightingale’s heirs, becoming the first of five successive generations of the Brown family to live here. It was home to the Brown family from 1814 until 1985. 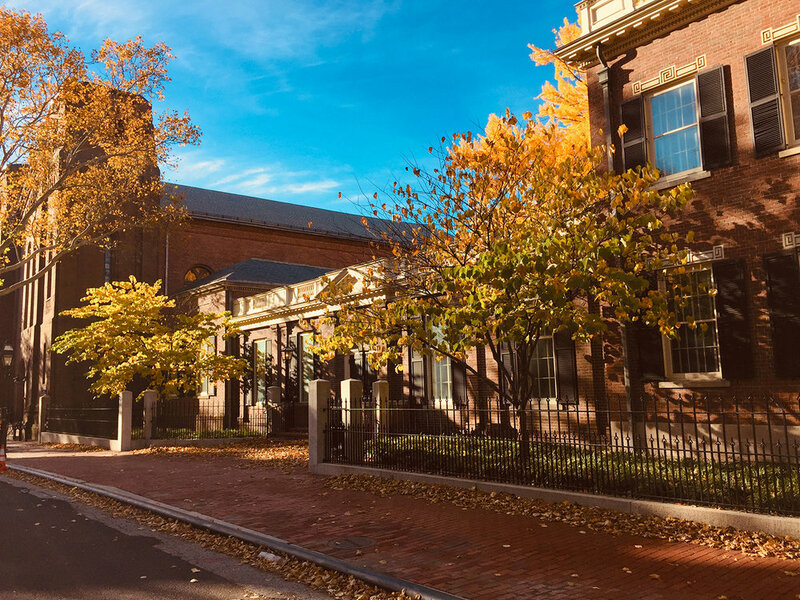 It became part of Brown University in 1995 and is currently home to the University’s John Nicholas Brown Center (JNBC) for Public Humanities and Cultural Heritage. The JBNA primarily serves the Brown University community though the first floor is open to the public, as are its exhibitions and programs. Click here for historical information about the house. Click here for a digital tour of the house. The Barker Playhouse, with its tag line “America’s Oldest Little Theatre,” is reputed to be the oldest continuously operating little theatre in the country. The performing season from October to May features five major productions, each running for six performances over two weekends. 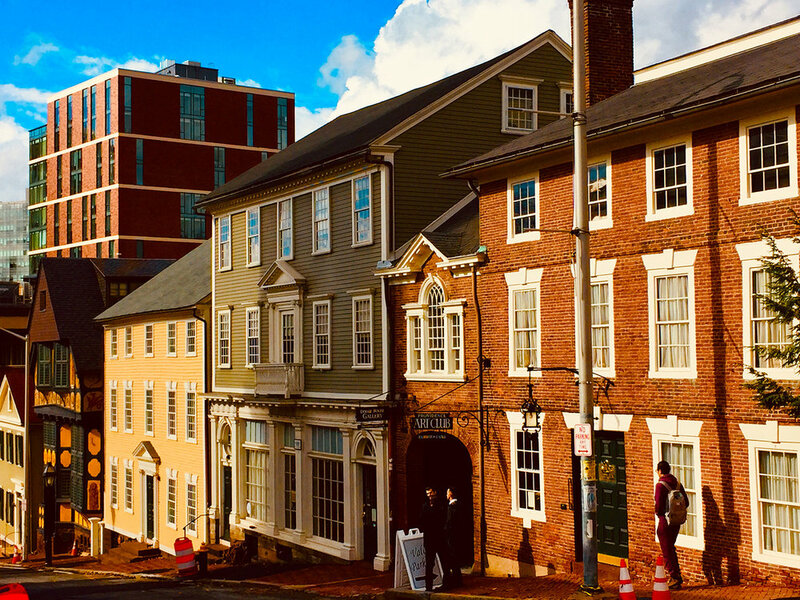 The Rhode Island Historical Preservation & Heritage Commission is the state agency for historical preservation and heritage programs and is housed in the Old State House. The Commission operates a statewide historical preservation program that identifies and protects historic buildings, districts, structures, and archaeological sites. The Commission also develops and carries out programs to document and celebrate the rich cultural heritage of Rhode Island’s people. Visitors are permitted in the lobby and courtroom only. The building is open 9am – 4pm, Monday-Friday except holidays. Prospect Terrace Park lies at the easterly border of the Mile of History. It offers a panoramic view of Providence’s Downtown and the Rhode Island State House and is a perfect place to view the city at sunset. A large memorial statue of Roger Williams is a prominent feature. The park was founded in 1869, on land that was given to the city by residents of the neighborhood. The park recently underwent a major restoration sponsored by the College Hill Neighborhood Association in collaboration with the Providence Infrastructure Program, the Parks Department, and individual donors. This small urban national park with a visitor center is located at the westerly border of the Mile of History between College Hill and Downtown Providence. The park commemorates the life of Roger Williams, the founder of Rhode Island and a champion of the ideal of religious freedom. Discover the many contributions Roger Williams made to the cause of religious freedom through exhibits and a short film at the visitors’ center.